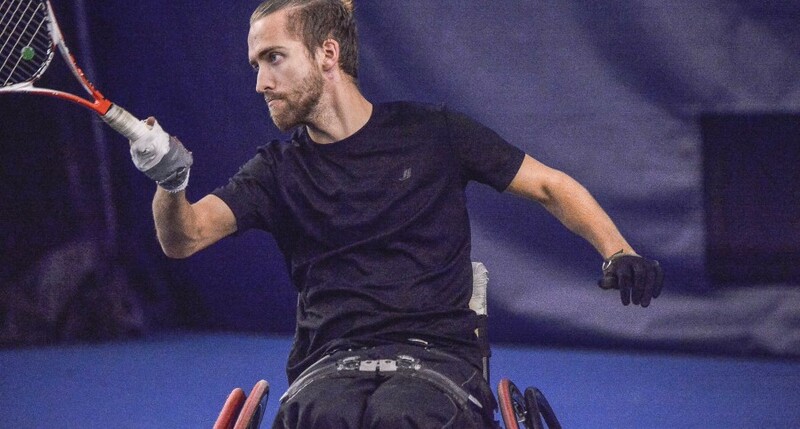 Vancouver, October 25, 2015 – Philippe Bedard and Rob Shaw were crowned champions at the Birmingham National Wheelchair Tennis Championships in Vancouver on Sunday, with Bedard claiming his third straight national singles crown and Shaw winning his maiden title at the University of British Columbia Tennis Centre. No. 2-seeded Shaw came through 4-6, 6-4, 6-4 against No. 1 seed Luker in a very high-quality quad final lasting two hours and 35 minutes. After Shaw engineered a 5-2 lead in the third set, defending champion and world No. 22 Luker climbed back to make it 5-4. But Shaw, who entered the match trailing the ITF circuit head-to-head versus Luker 2-4, was finally able to serve out the victory and claim his first national singles title. His win comes a day after the 25-year-old from North Bay and Luker teamed up to capture the doubles championship. In men’s action, Bedard came out on top in an all-Quebec final 7-5, 6-1 over No. 2-seeded Gilbert to capture his third consecutive national singles trophy. The last time the two athletes played, Gilbert clinched a close duel 10-7 in the match tiebreaker in the Texas Open semifinals in May. He started strong again by taking a 5-2 lead in the opener, but Bedard was able to close the lead, take the first set, and assume control early in the second to emphatically take the title. Bedard, who won a bronze medal in men’s doubles at the Parapan Am Games this summer, is the highest-ranked men’s player in Canada at world No. 29. Later, Bedard and Gilbert joined sides to clinch the doubles championship, winning 6-0, 6-0 over British Columbian-Albertan team Richard Peter and Kyle Thompson. It is Bedard’s fifth straight doubles crown at nationals after he also won the last four with Joel Dembe, who recently retired from the sport. For Gilbert, the win was a turnaround from the past three years in which he finished as runner-up to Bedard and Dembe. The Birmingham National Wheelchair Tennis Championships is the biggest wheelchair tennis tournament held in Canada each year, with the country’s top athletes competing for national titles. The 2015 event was held from October 22-25 at the UBC Tennis Centre in Vancouver. For the complete final draws and results, please click here. Philippe Bedard and Joel Dembe have captured Canada’s first-ever wheelchair tennis medal at either a Parapan Am or Paralympic Games after clinching the bronze medal at TO2015 on Thursday. After dropping a heartbreaker semifinal 10-8 in the match tiebreaker to Brazilians Daniel Rodrigues and Carlos Santos, Bedard and Dembe rebounded in the third-place battle. The Canadian duo ousted Americans Steve Baldwin and Jon Rydberg 6-4, 6-2 at the University of Scarborough Tennis Centre to secure their medal. We did everything we worked on with our coach,” Dembe said about the match. “We played pretty much the exact same way we played against Brazil and I still feel we should have won that match. But I’m proud of winning and coming away with a medal and leaving on a high note is fantastic. Entering the Parapan Am Games, the goal for Team Canada was to win a medal. Bedard and Dembe, who are four-time Canadian national champions, have become the first homegrown athletes to win a Parapan Am medal. Canada’s previous best finish at a big multi-sport Games was fourth place at the 2004 Athens Paralympic Games by Sarah Hunter and Brian McPhate. 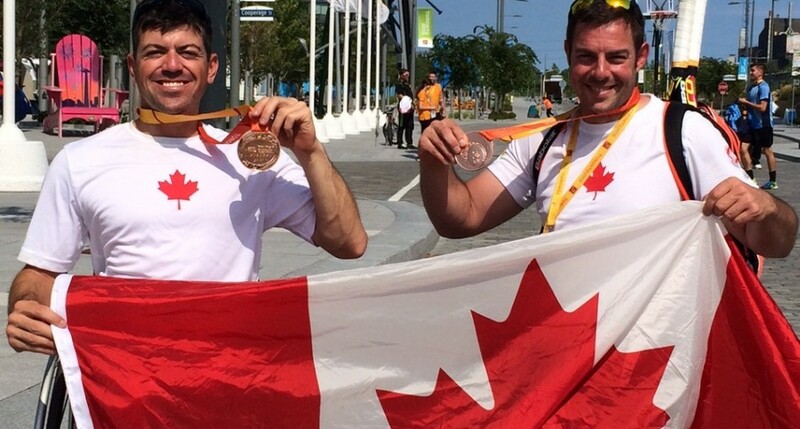 With Bedard and Dembe’s victory, the Canadian wheelchair team is officially done at the TO2015 Parapan Am Games. Bedard and Dembe were joined on Team Canada by female players Yuka Chokyu and Mika Ishikawa, alongside coach Christian Gingras, team captain Kai Schrameyer, and physical therapist Mara Chaplin. For the complete draws and results from the wheelchair tennis event at TO2015, please click here. It was a successful weekend for Canadian wheelchair tennis players at the Kamloops Legacy Games in British Columbia. 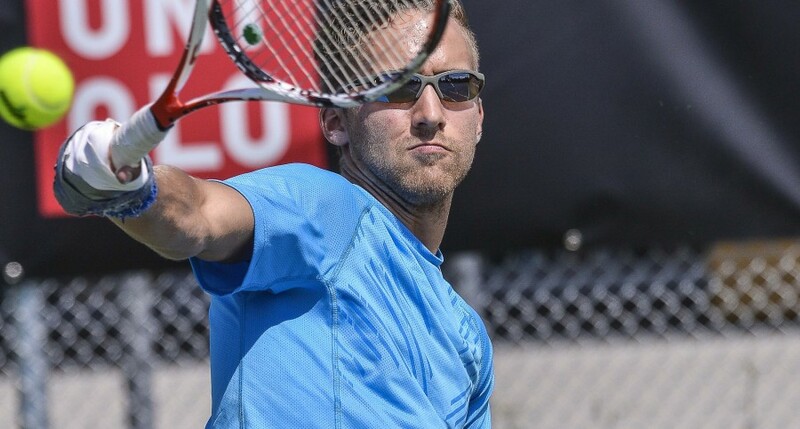 Rob Shaw won his first ITF title at the inaugural ITF Futures wheelchair tennis tournament in Kamloops on Sunday. Shaw (North Bay, ON) captured the quad division title after defeating fellow Canadian Adam Frost in straight sets 6-0, 6-1. He advanced to the final without dropping a set. In the men’s singles, Joel Dembe (Toronto, ON) captured the title in the warm-up event leading up to the TO2015 Parapan Am Games. No. 1 seed Dembe defeated Chris Herman of the United States 7-6(4), 6-4 to come out on top. The Kamloops Legacy Games took place at the Kamloops Tennis Centre in British Columbia from July 24 to 26. Full tournament draws and results can be found here.